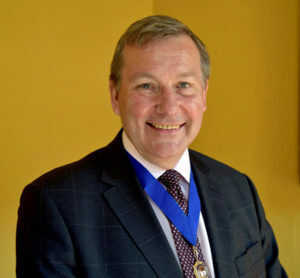 Alan Johnston has been appointed as President of NorSCA (The Northern Society of Chartered Accountants), replacing Karen Muir who has completed her term in office. Alan has recently retired, having previously been a Senior Partner at Armstrong Watson’s Fairview office in Carlisle. As Northern Society President he will support over 4,000 ICAEW members and ACA students across the North East of England, Teesside, northern Yorkshire and Cumbria. His role will involve overseeing a range of events and services for members, including a number of technical and networking events, including the Northern Society Business and Awards Dinner which is taking place on 12 October 2018 at the Civic Centre, Newcastle upon Tyne. The keynote speakers will be ex-postman, union leader, Home Secretary and (for a brief period) Shadow Chancellor Alan Johnson and ICAEW President Paul Aplin. Alan will be supported by Deputy President Keith Proudfoot. Alan was appointed at the recent Northern Society AGM, which took place at the Northern Counties Club in Newcastle.